"e;Attached Files"e; is a selection of lectures and papers written by Imre Lazar, a medical anthropologist with twenty-five years of experience, situated at the crossroads and frontiers of several disciplines, including anthropology, health sciences, religious studies, human ecology, and environmental ethics. The shared focus, connecting these borderlands into a common semantic network, is… the problem of the synergic logic of human bonds and attachment embodied by somatic, social, institutional and symbolic structures. The first part of the book deals with pluralism and the enculturation of the medical practice and its anthropological perspectives. 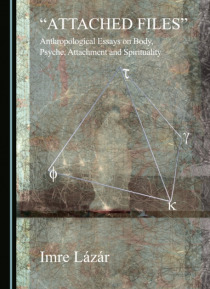 The concept of attachment, metaphorized by the title, also provides a common ground to envisage cultural history, philosophy, literature, and biomedical sciences in terms of synergic human agency and its obstacles. The book integrates various strands of anthropology, such as the evolutionary and the symbolic, and the materialist and the idealist. The book will be useful for those interested in the fields of medical anthropology, health psychology, religious studies, human ecology, ecophilosophy, and environmental ethics.